Philip Pullman’s phenomenal fantasy trilogy, which changed the face of children’s fiction. Stunningly imaginative and profoundly compelling, His Dark Materials has sold several million copies, won just about every book prize going, and stirred up scandal and debate. Find out what the fuss is all about! 1. Did you have the whole story in your head when you began writing His Dark Materials? Yes, in outline, though not in detail. I haven’t got enough RAM in my head to deal with 1300 pages of yet-unwritten material. But any writer of stories has to have a certain architectural sense – I mean a feeling for large shapes, and an instinct for whether they’ll stand up safely, or need lots of propping up to make them steady, or whether they’ll just fall down whatever you do, and so on. And of course when you begin a large project like His Dark Materials, you make sure beforehand that the large shape is secure. It’s the details you can take chances with, and afford to be surprised by. I don’t like planning things too tightly, because then you’re not surprised by anything. I was very surprised by the armoured bear, Iorek Byrnison, for example; I hadn’t expected him to be a bit like that. And the Gallivespians in The Amber Spyglass surprised me enormously. 2. How did the story develop? It came together to begin with as all my stories do, as a series of unconnected pictures. As I thought about them I began to see the connections between them. What did connect them was the sense that they were all about something large and important that affects every single human being: the business of growing up, of innocence and experience, of cruelty and love. Putting it like that, it sounds vague and abstract. But the pictures I could see in my mind, and the story that connected them, was full of vivid detail: Lyra hiding in the wardrobe, and overhearing something she wasn’t meant to; two bears fighting to the death; a window to another world appearing in mid-air – and so on. 3. 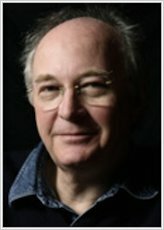 Did you write His Dark Materials as “fantasy”? No. I think of it as stark realism. The trouble with pigeon-holing books by genre is that once they have a particular label attached, they only attract readers who like the sort of book that has that sort of label. Fantasy is particularly affected by this. I very much want to reach readers who don’t normally read fantasy – I want to reach readers who know very well that they don’t like fantasy at all. I don’t like fantasy. The only thing about fantasy that interested me when I was writing this was the freedom to invent imagery such as the dæmon; but that was only interesting because I could use it to say something truthful and realistic about human nature. If it was just picturesque or ornamental, I wouldn’t be interested. 4. Did you write His Dark Materials for children? I don’t know about this business of writing ‘for’ this audience or that one. It’s too like labelling the book as fantasy – it shuts out more readers than it includes. If I think of my audience at all, I think of a group that includes adults, children, male, female, old, middle-aged, young – everyone who can read. If horses, dogs, cats, or pigeons could read, they’d be welcome to it as well. I don’t want to shut anyone out. 5. Why do you believe stories are so important? Because they entertain and they teach; they help us both enjoy life and endure it. After nourishment, shelter and companionship, stories are the thing we need most in the world. 6. What stance do the books take? Underlying the trilogy there is a myth of creation and rebellion, of development and strife, and so on. I don’t make this myth explicit anywhere, but it was important for me to have it clear in my mind. It depicts a struggle: the old forces of control and ritual and authority, the forces which have been embodied throughout human history in such phenomena as the Inquisition, the witch-trials, the burning of heretics, and which are still strong today in the regions of the world where religious zealots of any faith have power, are on one side; and the forces that fight against them have as their guiding principle an idea which is summed up in the words The Republic of Heaven. It’s the Kingdom against the Republic. And everything follows from that. So, for instance, the book depicts the Temptation and Fall not as the source of all woe and misery, as in traditional Christian teaching, but as the beginning of true human freedom – something to be celebrated, not lamented. And the Tempter is not an evil being like Satan, prompted by malice and envy, but a figure who might stand for Wisdom. The myth has allowed me to link together many aspects of the story in a sort of invisible way which might not be apparent to the reader, but which I have found helpful. For example, it explains where dæmons come from, and what happens when we die, and why there are many universes. And if certain Christian critics are confused by this, and imagine I’m denying the difference between good and evil, then all I can say is that I shall pray for them. 7. Where and when do you write? I write in my shed, at the bottom of the garden. It’s quite comfortable in there, but because of my superstition about not tidying it during the course of a book, it’s now an abominable tip. I write by hand, using a ballpoint pen on narrow lined A4 paper (with two holes, not four). I sit at a table covered with an old kilim rug, on a vastly expensive Danish orthopaedic chair, which has made a lot of difference to my back. The table is raised on wooden blocks so it’s a bit higher than normal. After lunch I always watch Neighbours. Soap operas are interesting because there’s no limit to the length a story can have – it can go on for months, if it’s got some life in it. I like watching the script editors losing interest in one story-line and promoting another instead, and it’s fascinating to watch some characters gaining story-potency as others lose it, and to try and work out why it’s happening. Neighbours is better than EastEnders or Coronation Street for this, because there’s no distracting social comment. It’s all pure story: one thing following another. 8. How long does it take to write a book? Northern Lights took two years, and so did The Subtle Knife. The Amber Spyglass has taken three. But they were all long books. Short books take less time, not surprisingly. 9. How do you come up with the characters’ names? Some just appear. As soon as Lyra came to my mind, I knew what she was called. Others I have to make up. Lee Scoresby, for instance: the Lee part comes from the actor Lee Van Cleef, who appeared in the Dollar films with Clint Eastwood, because I thought my Lee would look like him, and the Scoresby comes from William Scoresby, who was a real Arctic explorer. 10. Are the characters based on people you know? Not consciously. I just think of them. 11. How did you come up with the idea of daemons? When I first saw Lyra in my mind’s eye, there was someone or something close by, which I realised was an important part of her. When I wrote the first four words of Northern Lights – ‘Lyra and her dæmon’ – the relationship suddenly sprang into focus. One very important thing is that children’s dæmons can change shape, whereas they gradually lose the power to change during adolescence, and adults’ daemons have one fixed animal shape which they keep for the rest of their lives. The daemon, and especially the way it grows and develops with its person, expresses a truth about human nature which it would have been hard to show so vividly otherwise. 12. What would you choose as your own daemon? You can’t choose – that’s the point. You have to make the best of whatever your nature is. As an old sailor says to Lyra in Northern Lights, “There’s plenty of folk as’d like to have a lion as a daemon and they end up with a poodle.” If you do want to know what your daemon is likely to be, the best way to find out is to ask your friends to tell you – anonymously. 13. Have you seen the northern lights? No. They were one of the many things I had to read about and imagine. 14. Which children’s writers do you admire? Lots. Peter Dickinson, Jan Mark, Anne Fine, Jacqueline Wilson, Janni Howker, Michael Morpurgo, Allan Ahlberg – too many to name, really. 15. What was your favourite book as a child? Norman Lindsay’s The Magic Pudding. 16. Which books have made a difference to your life? The books which have made the most difference to my life have been Grimm’s Fairy Tales, Homer’s Iliad and Odyssey, the Sherlock Holmes stories of Arthur Conan Doyle, the Superman and Batman comics which were published when I was young – i.e. before they became ‘dark’ and self-consciously post-modernist, The Picture History of Painting by H.W. and D.J. Janson which I bought with a book token when I was fifteen, and Bernard Shaw’s Collected Letters. Northern Lights has celebrated its 10th anniversary. Why has it been so popular? I don’t know! If I knew, I’d have published it thirty years ago instead of ten. But I suppose it’s partly to do with the fact that it’s concerned with the matter of growing up, and that’s something all of us are going through, or have gone through, or will go through, so it’s something of interest to everyone. Why do you think this popularity has lasted for so long? Well, I suppose I must have got something right! How do you think teachers could use the book in the classroom? I hope teachers won’t just USE it. I hope they will read it with their pupils for the sake of enjoyment. I didn’t write it in order to serve as a teaching resource. What has been your most memorable feedback? Just the continuing enthusiasm of readers of all ages. For those who don’t already know, how would you describe His Dark Materials? A work of transcendent and incomparable genius – the greatest book ever written – a monument of imperishable magnificence! Alternatively – quite a good story.